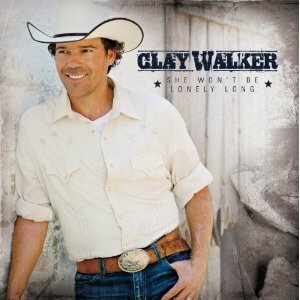 The weather is warming up and that might mean a new single for Clay Walker. A few months back I wrote more than once about Clay Walker’s disagreement with his record label. Back at the tail end of the summer of 2010 Clay wanted to release Summertime Song as his second single from his latest album. His label instead released Where Do I Go From You , which made it into the 20s on the charts – nothing to be ashamed of. Now that single has just about run its course and the warn season is here. Could it be time for Clay to release Summertime Song ? Summertime Song is a simple song with a good melody. It’s the kind of song I can picture listening to as I drive my pickup over to a buddy’s place for a summer bonfire. It’s a mid tempo song with good feel and charm. Once at that bonfire with a few good friends I can picture laughing and telling stories. Maybe even crack a few beers for a good summertime night. Clay Walker has covered just about every emotion and topic in his long country career. I think he hit a good tone on this latest track though. It’s always fun to have good songs each summer. Summertime Song is nothing special. It’s not trying to be anything too serious and that’s really what summer is about – good hearted fun. Hopefully Clay can give the execs over at Curb a little nudge on this track this spring.